Bulandshahr: The Army jawan, who reportedly killed a Police Inspector and a civilian, has been handed over to the Uttar Pradesh STF (Special Task Force) in Meerut. 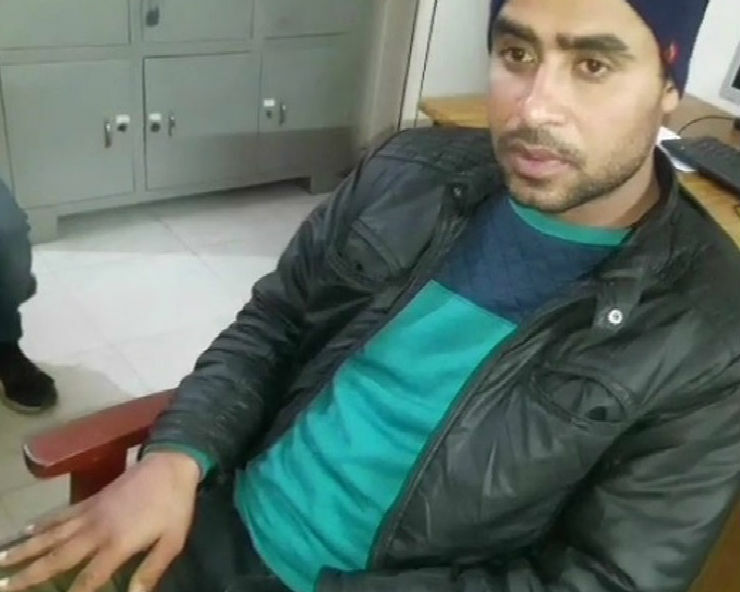 Army Jawan Jitendra Malik alias Jeetu Fauji was earlier detained by Jammu and Kashmir 22 Rashtriya Rifles in Sopore town and later was shifted to Meerut on Saturday night, for interrogation. STF sources here on Sunday said that interrogation of the Army jawan has been completed in Meerut and now, he is being taken to Bulandshahr, where he will be produced in the court. The STF is slated to seek police remand of the accused. However during interrogation, the accused admitted that he was present at the spot of the violence, but denied that he had opened fire and killed Inspector Subodh Kumar Singh. Brother of the Armyman, Dharmendra, too denied that Jeetu was involved in the killing, while his wife Priyanka disclosed that during the time of the incident, her husband was with her in the market. SP STF Abhishek Singh said on Sunday in Meerut that Jeetu was handed over to the UP STF by the Army at midnight. “Preliminary interrogation has been done. He is being sent to Bulandshahr, will be produced before the court for judicial custody,” he said. “Jeetu accepted that he was there when the crowd started gathering. Prima facie, it has been found true. It’s not yet ascertained if he is the one who shot Inspector or Sumit. He said he went there with villagers, but denied pelting stones on police. Forensic of his mobile will be done,” the SSP said. Inspector Subodh and 20-year-old Sumit were killed, when a mob attacked policemen after cattle carcasses were found in the fields on December 3. A total of nine people have already been arrested in the case. The police inspector and his team had gone to the village to tackle the violence, when they came under attack. The deceased inspector was the investigating officer in the Dadri lynching case from September 28, 2015 to November 9, 2015. However, the charge sheet was filed by a different IO in March, 2016. UP government had removed SSP of Bulandshahr Krishna Bahadur Singh on Saturday and attached him with the DGP office. Besides, the Circle Officer and a local police station in-charge were also transferred by the government. The officers were shifted on the basis of ADG (Intelligence) SB Shirodkar’s report, which reportedly mentioned that if the cops had acted promptly, the untoward incident could have been averted.